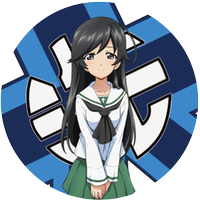 "'Girls und Panzer der Film' Special Mod 2016" Released! 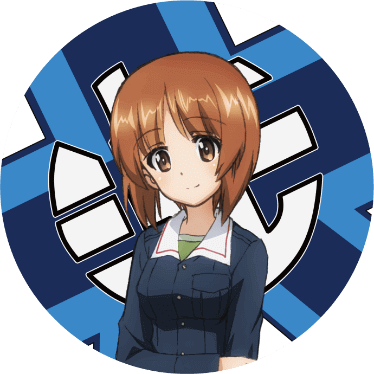 The Girls und Panzer mod is back as the "'Girls und Panzer der Film' Special Mod 2016" with new additions from the latest movieThis mod includes an installer and does not require a complicated install process, so anyone can enjoy it without all the mod installation hassle! The installer also allows you to pick which part of the mod to install: voice mod, garage skin, tank skins or you can just select all of them! 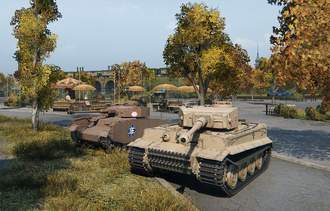 Download now, and enjoy Sensha-do in World of Tanks! What's Included in the "'Girls und Panzer der Film' Special Mod 2016" ? By applying the voice mod, the battle voices will be changed to the Anglerfish Team girls. Miho Nishizumi as the commander, Yukari Akiyama as the loader, Saori Takebe as the radio operator and Hana Isuzu as the gunner. These girls will accompany you to battle! 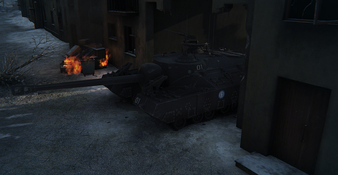 By installing then garage mod, the garage will be changed to the Ōarai Girls High School Tank Garage. In-game event garages take priority over the mod garage. In the case there is an event garage in place, the Ōarai Girls High School tank garage will be applied after the event garage period ends. 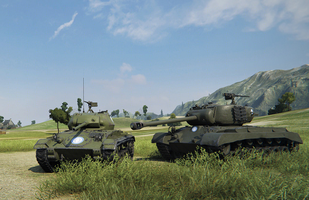 By applying the tank skins, some vehicles in-game will be changed according to the way they looked in the anime "Girls und Panzer". This mod also adds destroyed vehicle models with white flags for select tanks. You can select to install just the regular vehicle skins or both the regular and the destroyed vehicle model skins. 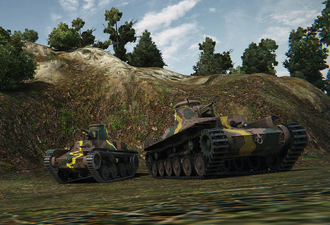 The vehicles below have been added in the latest "Girls und Panzer der Film" version of the mod. 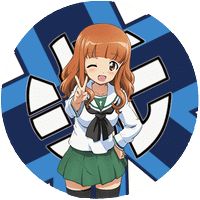 Precautions for using the "'Girls und Panzer der Film' Special Mod 2016"
The mod may not function properly depending on the specifications of the PC being used. The mod may not function properly when used with other mods. We recommend deleting any other mods when installing the Special Mod. The mod may become obsolete and unusuable after a client update. If problems arise after the installation of the Special Mod, please uninstall the Special Mod from "Programs and Features" in the system Control Panel. 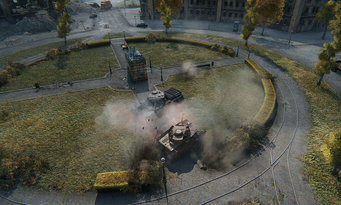 The tank skins in the mod pack are applied to the tanks you already own. Please be advised that the mod pack does not provide you with tanks you have not researched. 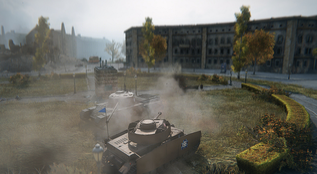 This mod pack was created by external contributors under the supervision of Wargaming.net and the GIRLS und PANZER Projekt . 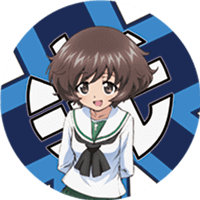 Please read the above precautions before using the "'Girls und Panzer der Film' Special Mod 2016"
Download the "'Girls und Panzer der Film' Special Mod 2016"
Steps to Installing the "'Girls und Panzer der Film' Special Mod 2016"
Download the installer from the above download link. A file will be saved as "WoT_Girls_und_Panzer_Mod_0.9.13_Setup.zip". Open the zip file and double click the exe file to execute the installer. Please follow the instructions on screen to complete the installation. After the installation is complete, launch "World of Tanks", login to the game and make sure the Special Pack is properly installed. This Special Mod is exclusively for Update 9.13. The Special Mod may become unusable after client updates.